Are you following my math here? After many years preparing food for a gluten and dairy free household, living without lasagna was no longer acceptable in my book. How sad is this... My kids didn't even know what I was referring to when I said I had made lasagna for dinner. Zero frame of reference. Completely unacceptable in the kitchen of a woman with rich Italian heritage. I became bound and determined to create a lasagna that was a fair match for the real thing that my grandmother would make for me as a child. This recipe has been a long time coming, friends. Try it out. And if you've been gluten and dairy free for a long time, allow yourself to radiate with joy after your first bite. Go ahead and take a deep breath. Now sigh. And smile. Begin soaking the cashews, if they are not already set out to soak. 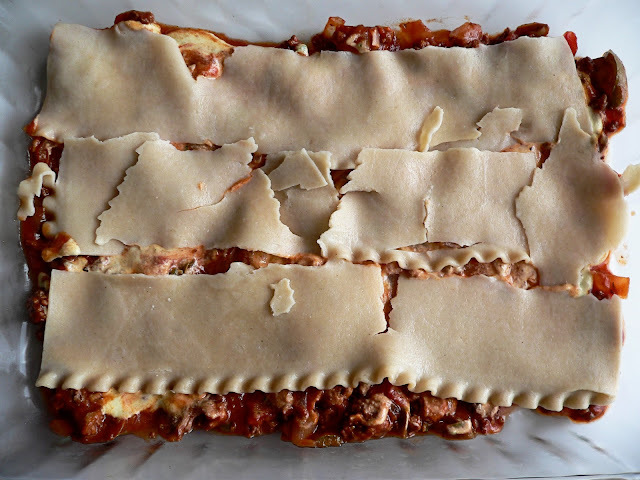 Follow package directions for cooking the lasagna noodles. Word to the wise, use the noodles you have to cook first. I tried this recipe with the no-cook variety and it did not have the right consistency. 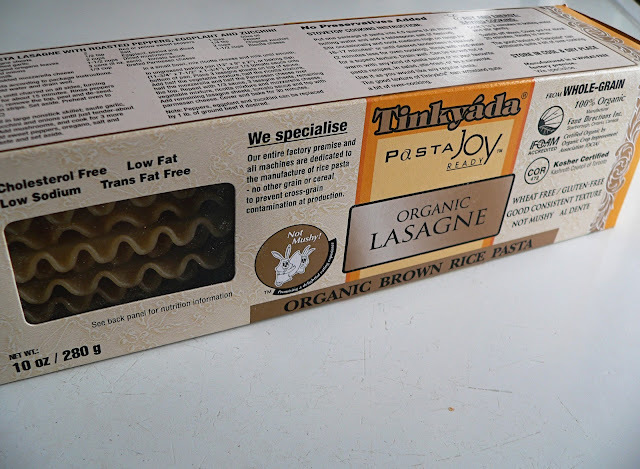 In fact, it was quite icky in comparison to the Tinkyada version. Take a moment to reflect on the beauty all around you. 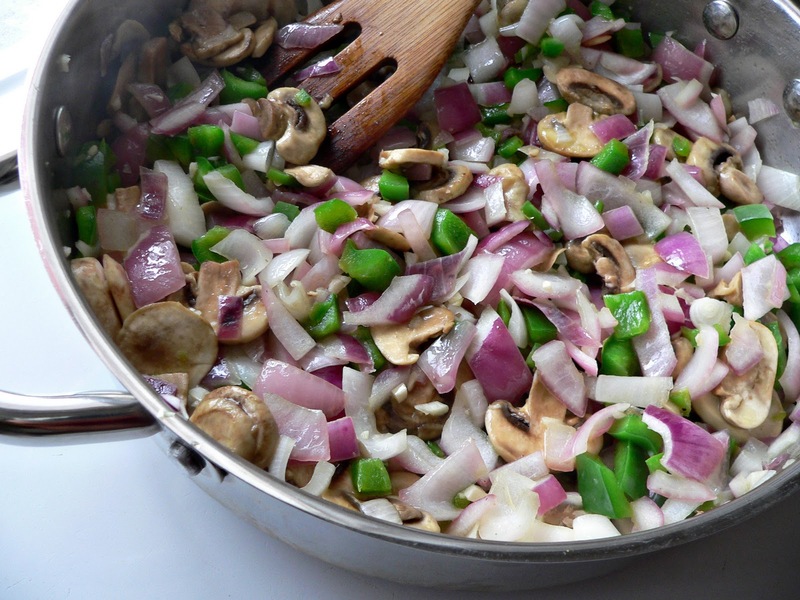 Saute onions, mushrooms, green peppers, and garlic in olive oil until soft over medium-high heat, approximately 8 minutes. Add ground beef and ground Italian sausage. Brown it up, baby. 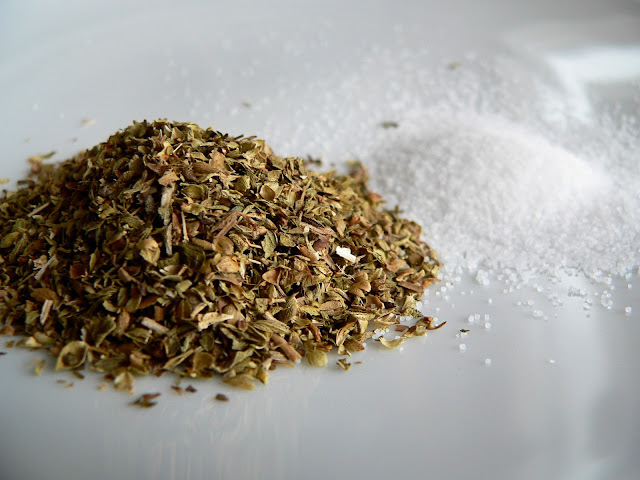 While cooking, season the meat with the oregano and salt. Once the meat is browned and fat has been drained, add the wine and continue cooking until reduced, about 5 minutes. For a nice article on choosing your cooking wine check out this New York Times article from March 2007. 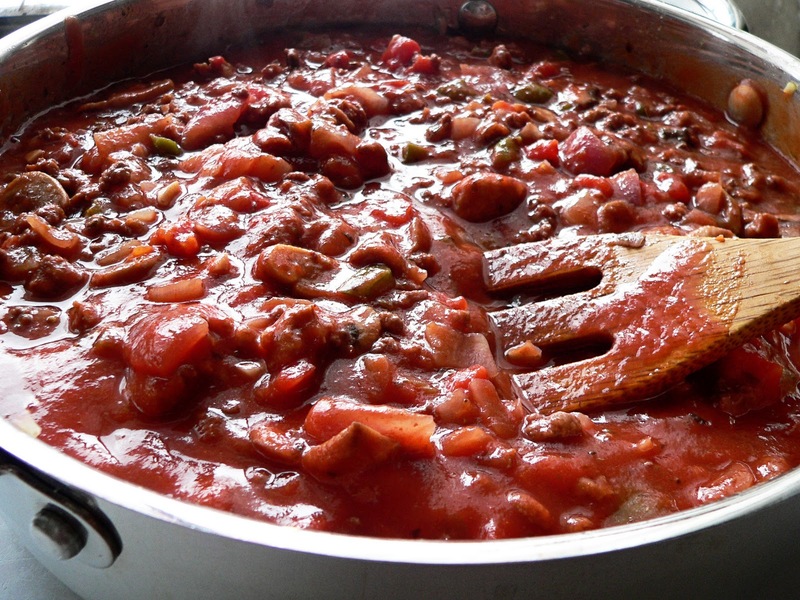 Now add the cans of diced tomatoes and tomato sauce. Stir well to combine. Allow to simmer over low heat for the next 20 minutes or so. What we'll be doing in this segment is recreating the ricotta cheese flavor and consistency for the sake of actually enjoying our gluten and dairy free lasagna when it's all said and done. We've been soaking the cashews for at least 30 minutes. But perhaps for as long as 6 hours. 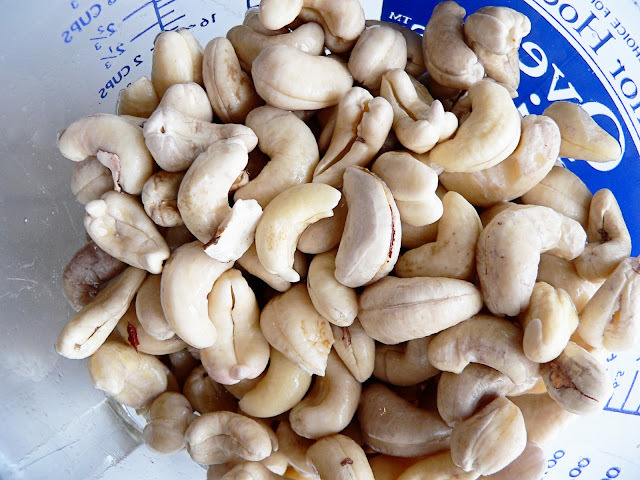 Drain the water away from the soaked cashews. Place the cashews in the blender with 1 1/2 cups water. 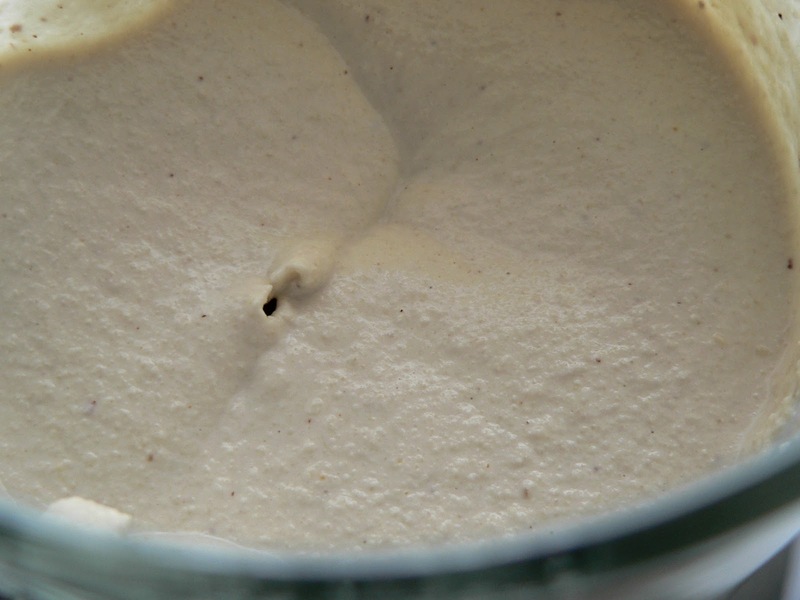 Puree until the cashews are smooth as smooth can be. Depending on the strength of your machine this could take up to five minutes of blending. The smoother the better here folks. 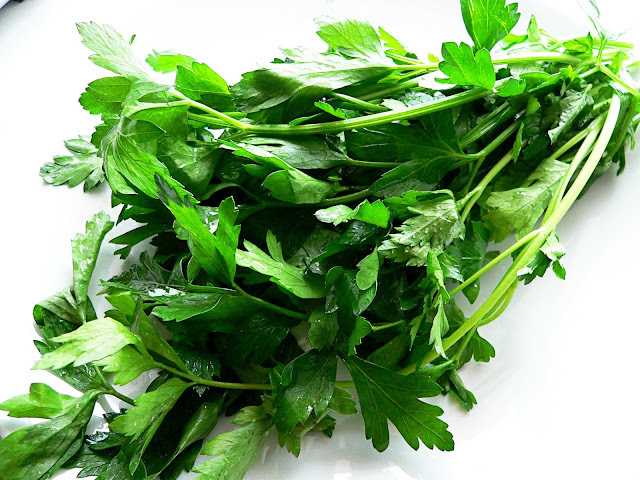 We've got our Italian parsley washed up. Grab two handfuls of the parsley and throw it into the blender with the two eggs. Give it a spin. Not too long though. Just enough to mix the egg and parsley into the cream. Too much blending of the parsley and the "ricotta" will turn completely green. Ewwww. And now begins the fun part of making lasagna from scratch. 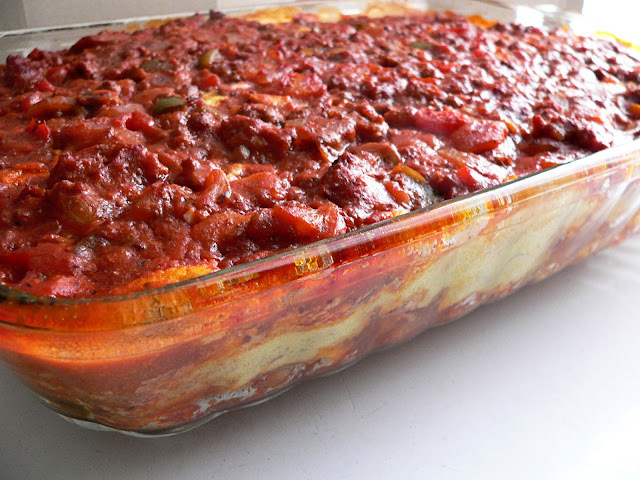 Layer a few spoonfuls of red sauce on the bottom of a 9x13 baking dish. 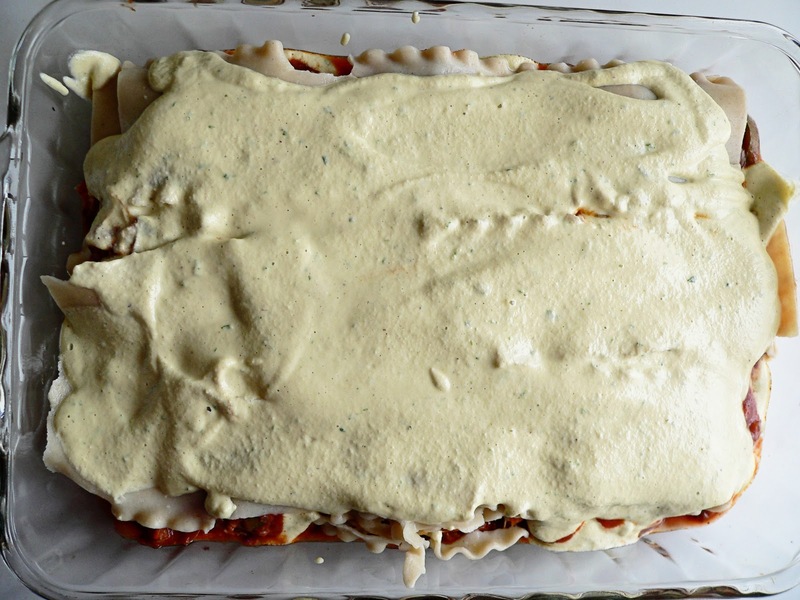 Spoon some cream sauce in there too and mix it around to create a nice nonstick surface for the first layer of lasagna noodles. Layer #1 of noodles. And yes, what you see here is a classic example of rice noodle behavior. They do not perform like normal wheat noodles. They break apart all too easily. 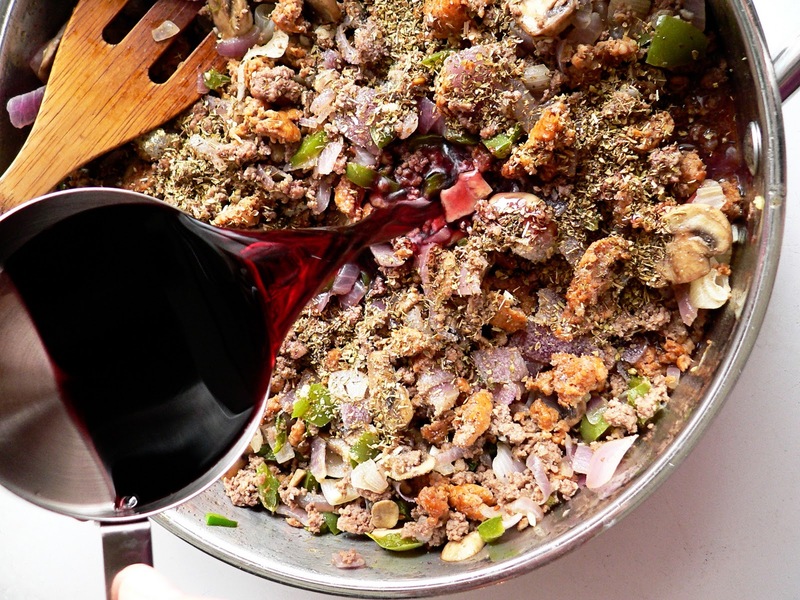 But hey, no one will know the difference once it's all baked together in a fantastic casserole of Italian goodness. Next a layer of cream sauce. Use approximately 1 cup's worth here. Spread it around, sister (or brother). And another layer of meat sauce. You get the idea here. I need not describe the process any further. End with a nice thick layer of cream sauce with the remaining meat sauce placed carefully on top. 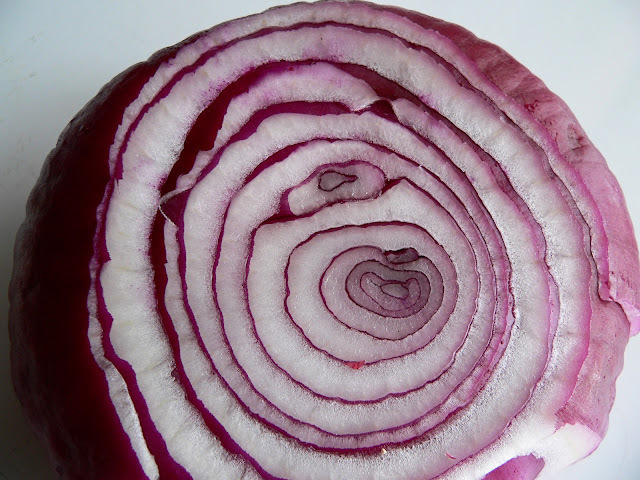 Cover with tin foil and bake in a 350 degree oven for 30 minutes. Take the cover off and bake another 5 minutes. Let cool a bit before diving in. Enjoy! It's December. You know what that means around here. It's a Christmas music bonanza! This is one of my absolute favorite Christmas tunes of all time. An ode to my old Italian grandmother — a little Frank Sinatra for your listening pleasure. This looks divine; I can not wait to make it. The "cheese" recipe/process is the simplest and most appetizing I've come across in my quest for an authentic Italian (I may not be 100% myself but my favorite scene in Goodfellas is when Ray Liotta's character describes how the old school crime bosses used razors to thinly slice their garlic in jail...and that's got to count for something, right?) 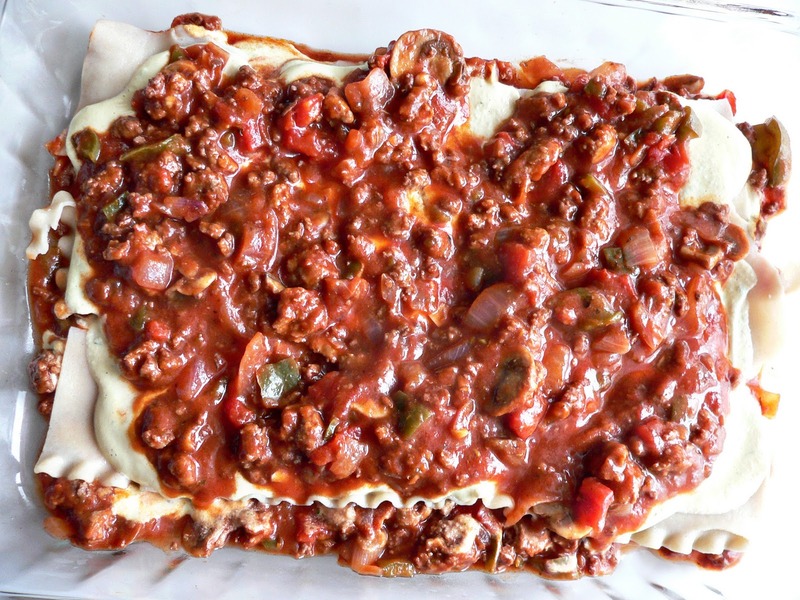 lasagna that also fits my dietary needs. If I can serve it to my boyfriend and he doesn't make an ick face, we have a winner. Do you think this would work without the eggs or with an egg replacer? 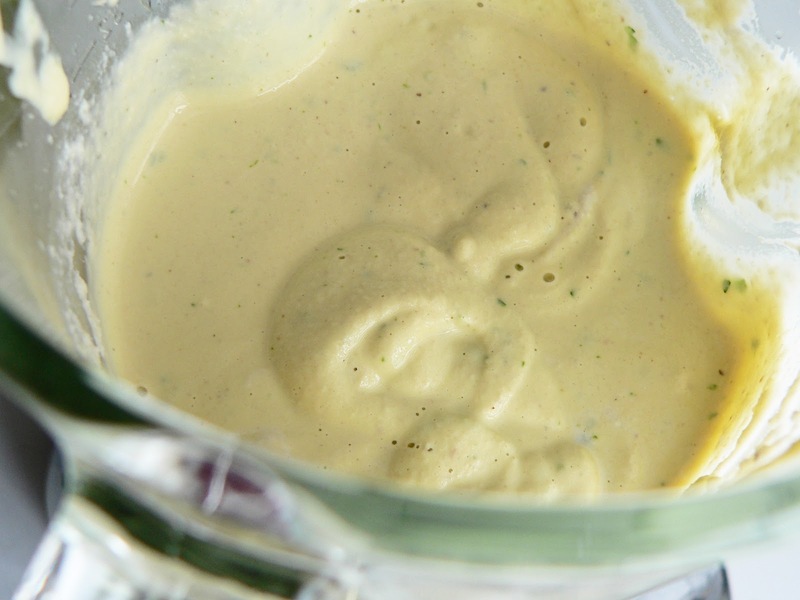 This is good and you don't need a really high-powered blender to make it. 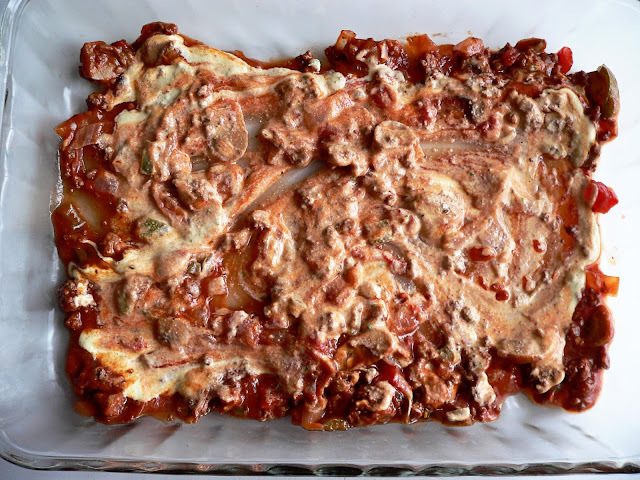 My husband, who really isn't into dairy-free said it tasted "95%" like real lasagna. The cashew ricotta is a little sweet, so I added garlic salt. 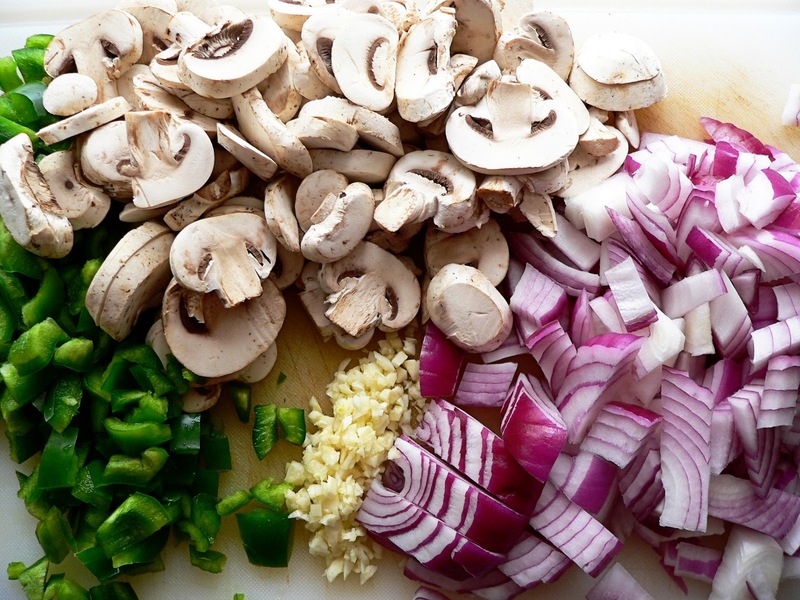 Have you tried assembling this early in the day and cooking it closer to supper time? 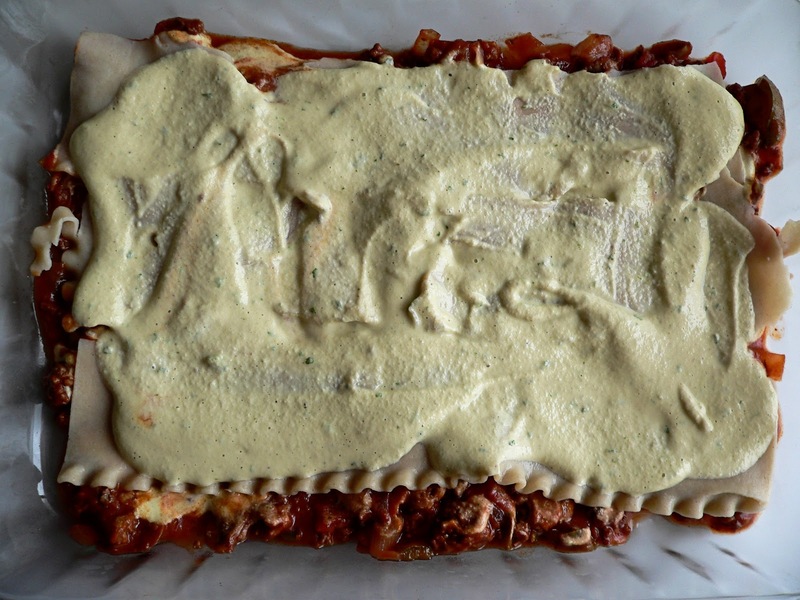 Do you think the eggs in the cashew sauce would spoil if they're sitting in the lasagna in the fridge uncooked? Trắng da có nhiều phương pháp , nhưng hầu hết mọi người điều sử dụng các loại thuốc trắng da nhưng đặt ra nhiều câu hỏi quanh các loại thuốc này như thuốc uống trắng da nào hiệu quả , thuốc uống trắng da ivory caps có hại không , thuốc uống trắng da ivory caps có tốt không ? Đó là một vài câu hỏi liên quan đến thuốc làm trăng da ivory caps , cùng tìm hiểu nhé . Ngoài trắng da thì mỹ phẩm nhật bản sakura còn giúp da giữ được nét tự nhiên và chống lão hóa vì dùng kem chống lão hóa sakura , ngoài làm trắng da thì còn là kem chống nắng và giá cả thì cũng là vấn đề vì vậy có nhiều câu hỏi như kem chống nắng neutrogena mua ở đâu ,.. Có nhiều loại nên có nhiều giá khác nhau . Nếu gót chân bị nứt nẻ thì nên dùng kem trị nứt gót chân neutrogena foot cream sẽ giúp bạn có được bàn chân đẹp như ý.
just made (&devoured!) this- and I can say with confidence that it's the best thing we've had since ditching dairy in january. i didn't miss the cheese at all! we substituted yves veggie ground round & chopped tofurkey sausage for the meat and replaced the egg with chia seed 'eggs' and it came out great! thanks so much for sharing! Made a variation of this last night. I thought the "ricotta" looked a little too runny, so I put some cheesecloth in a mesh strainer to drain some of the liquid. That made the texture look a little bit more like its dairy version and a bit easier to spread. The boyfriend really enjoyed it! Thanks for the recipe. I made a variation of this (not gluten free) for my "lactard" boyfriend last fall and he loved it! It's been a staple ever since then. My 5 year old son exclaimed, "This is soooo cheesy!" He was rather surprised to learn it was dairy free. 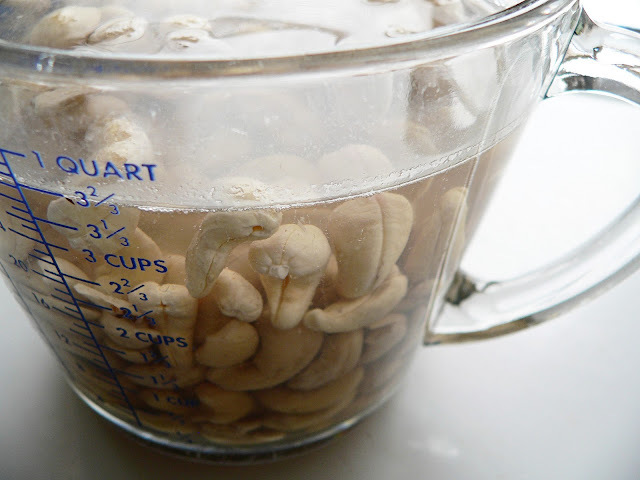 I have noticed that the longer I soak the cashews the less water I need to blend so, I just add it gradually now. Also, I haven't bought jar pasta sauce since discovering this recipe. It really is so easy to make fantastic sauce at home! Thank you!! I loved following this recipe! 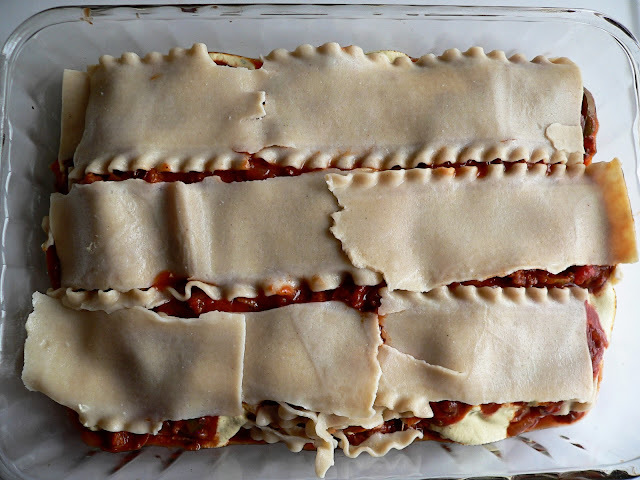 It's Christmas Eve, Nutcracker is playing at full volume, and I am waltzing around the kitchen waiting for my version of this lasagna to come out of the oven. 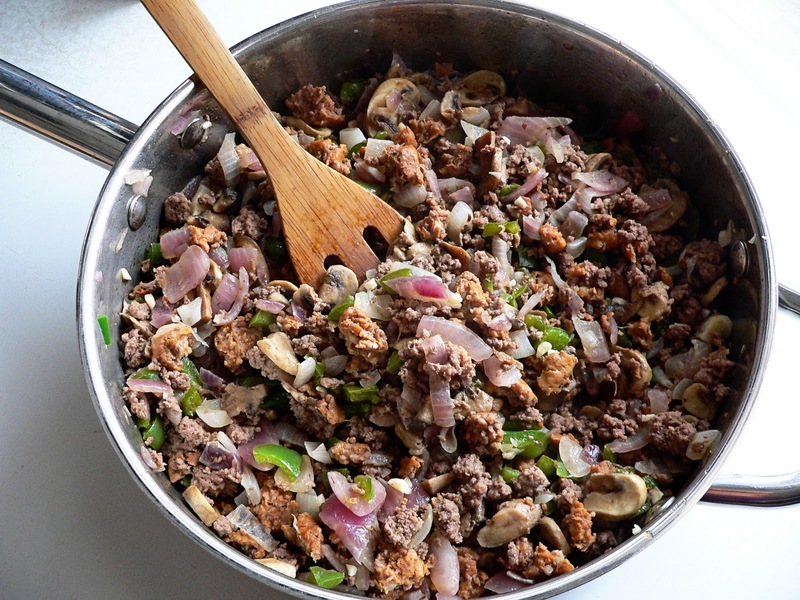 I had to go vegetarian for this so I substituted cooked lentils for ground beef/sausage. I hope it works! It smells delicious! It was the best lasagna I ever had!!!! The lentils worked! I'm making it again for new years! This was sooooo good! I've been trying GF/DF lasagnas for the last couple of years, but I don't like relying on soy ricotta-replacements and funky "cheeses" in an attempt to imitate the "regular" kind. This recipe was delicious! (Especially tasty with the copious amount of wine.) My five-year-old loved it, and even my picky toddler gobbled it up! It's probably the best lasagna I've made ever, even before our GF/DF days! Thanks for posting! Hi! I don't eat dairy or gluten. 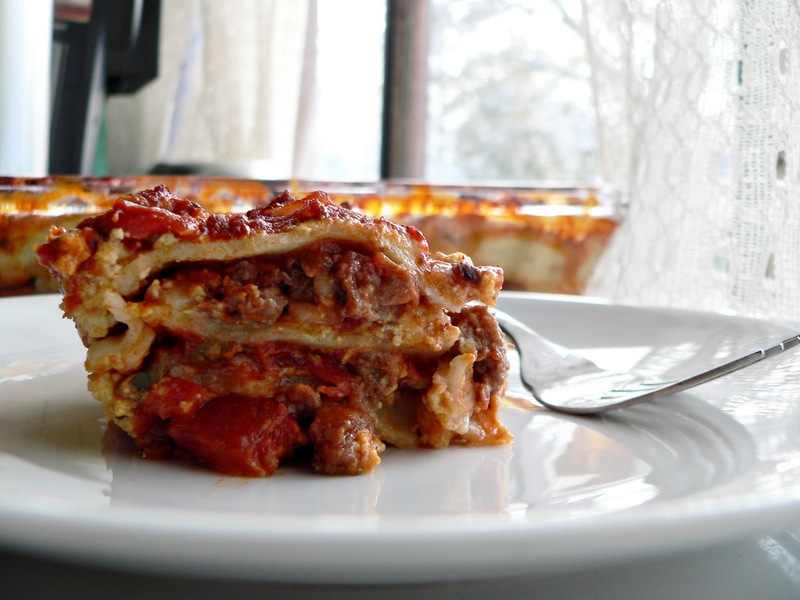 Before I went gluten-free, I loved lasagna and pasta! Oh it's been sad and while I have found substitutes, every recipe has been done by a vegetarian. Don't ask me why, but somehow even without having made the dish, I feel like it will be awesome just knowing that you eat meat. So thank you!! Nếu bạn thắc mắc chành xe là gì thì hãy ghé qua http://ngoinhakienthuc.com/ để tìm hiểu nhé. I never comment, but this has been a family fav for over a year! Thank you so much for this wonderful recipe. Ive recently been following the paleo diet n I replace noodles with sliced zuchinni. Still fabulous! Do you think I could replace the cashews for sunflower seeds - also dealing with a nut allergy and this made me so happy then so sad when I saw the cashew ricotta! I know I'm late to the party--but I made this for dinner tonight and it was absolutely fantastic! My husband, who has problems with dairy, was like "I'm just so happy to be eating lasagna right now!" It was one of his favorites as a kid. I copied the recipe down so I never lose it. Thank you so much for a delicious recipe and great instructions! I JUST found you :) You could SO BE my new best friend. You totally crack me up. Why did you stop blogging?!!! Come back! I'm making this tonight. I'm very excited. Thanks, baby doll!